In 1909 a 12-year-old girl named Margaret would write a note in a book that her great granddaughter who was named after her would read more than 100 years later. I was named after my great grandmother, Margaret Cleveland Bond. Cleveland was her maiden name. She didn’t have a middle name. Her note from the past was a book recommendation to a childhood friend named Hood. 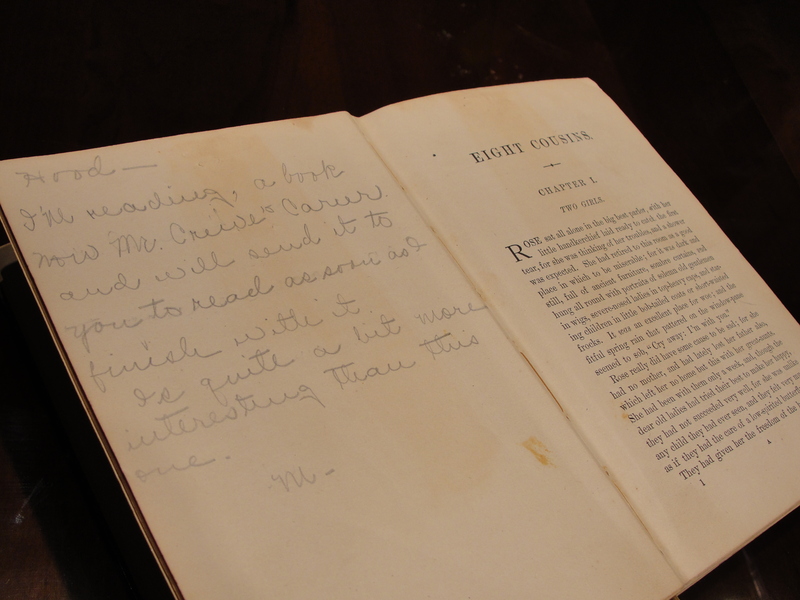 I passed that along to her son, my Granddad, who found that the book, Mr. Crewe’s Career, was now free for Kindle. Then he read it too. So we both traveled back in time. 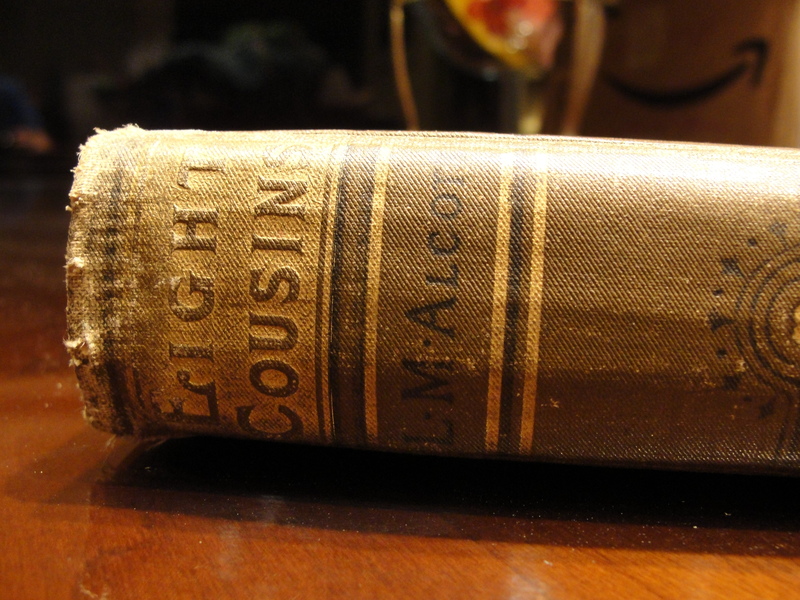 I was drawn to take it from the shelf because it was by Louisa May Alcott who also wrote Little Women, one of my favorite books. But later when I discovered the messages inside, it was like I was meant to meet that book. It was given to her by her teacher for excellence in deportment or manners. I got a trophy in school once with something similar engraved on it. I’ve always been interested in family history. It’s where you came from. It’s who helped shape your character. And in my case – who helped inspire my name. I’ve always been proud of that. I think for writers – especially – names are really important, because it’s your connection to the written word. There’s something about flipping through pages of a book and seeing the writing of the Margaret I was named for. She even signed her name like I often do. What an incredible discovery! I love family history as well, and what an honor it is to be named after your grandmother! Great post!! Thanks Granddad! That means a lot to me. 🙂 Love you lots! Are you saying you are related to Louisa May Alcott? Oh – ha ha – not that I know of. 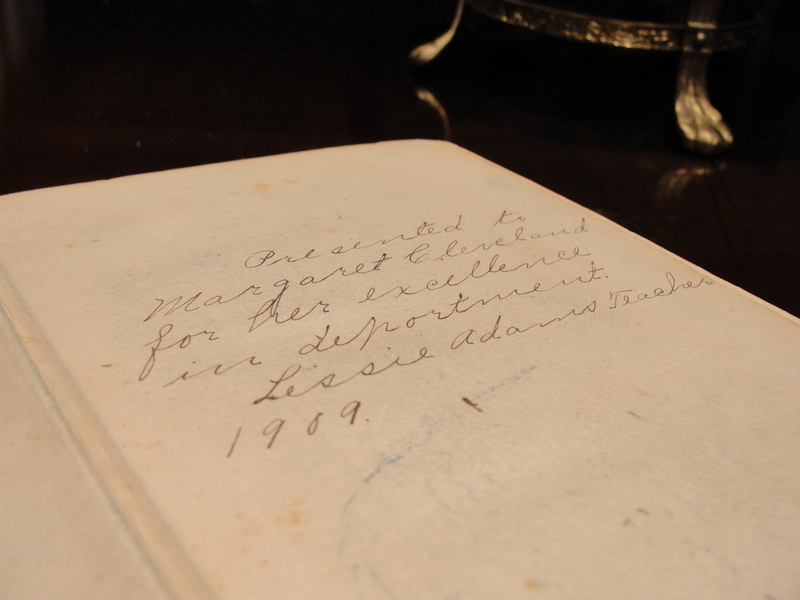 The book belonged to my great grandmother who I was named after – and she had written in it back in 1909. Pretty neat. Thanks for following my blog.